Gamlingay in the Snow. We had a brief spell of snow at the start of February, and I spent a couple of hours capturing some pictures around the village. 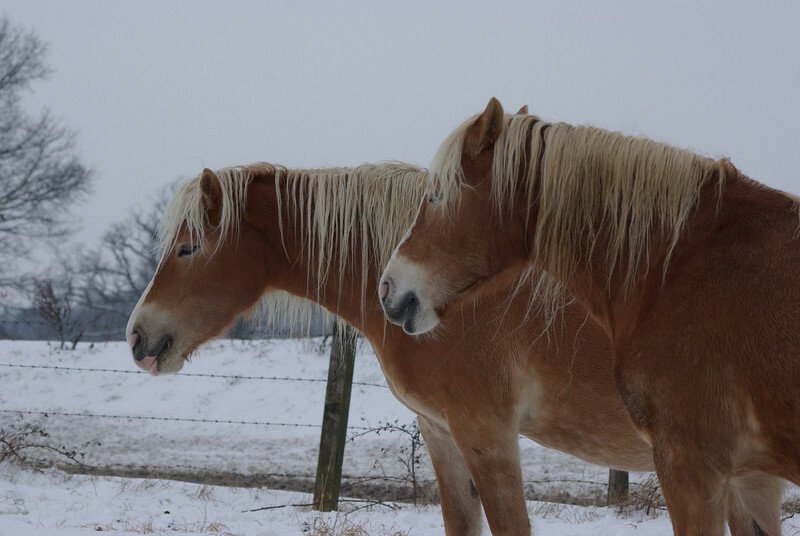 These horses attracted me, and especially their colour against the white of the snow. This one was first in class.